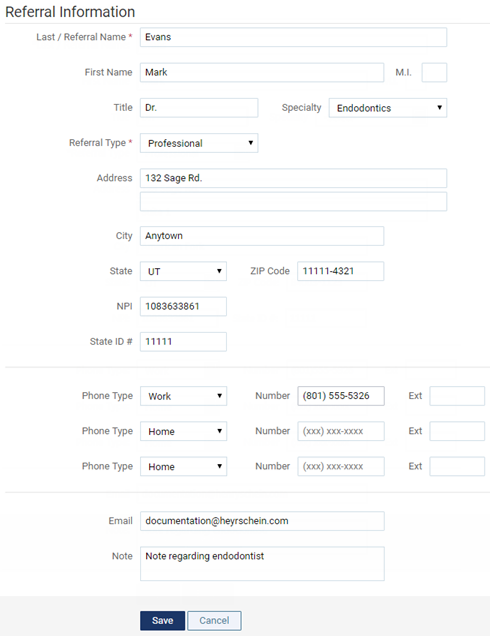 You can edit referral sources in your practice database as needed. Referral sources are sources, other than patients, that have referred patients to your practice. On the Referral Sources page, select a referral source. The options for editing the referral source become available. Change the information for the referral source, such as the name and address, as needed.